Before visiting the Philippines for the first time, I had known relatively little about this tiny paradise destination in the South Pacific. With over 7,500 island to visit, it was certainly hard to know just where to expolre. The one thing I did know, however, was that visiting Boracay was a must. 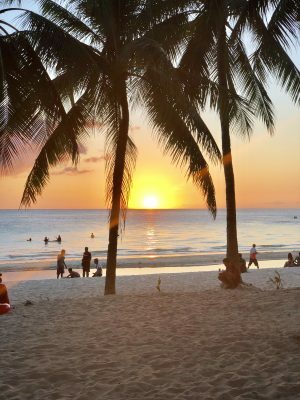 Consistently ranked as having some of the best beaches in the world, Boracay is a popular destination. So much so that the tiny island attracts upwards of 2 million visitors per year! I decided it was a must add to my destination list and it proved to be the paradise it was known to be. After touring some of the “less-touristy” islands of Coron and El Nido, Boracay was the last island stop to my two weeks in the Philippines. Timing wise, I got lucky. The island had just recently reopened after shutting down to all tourism for 6 months. 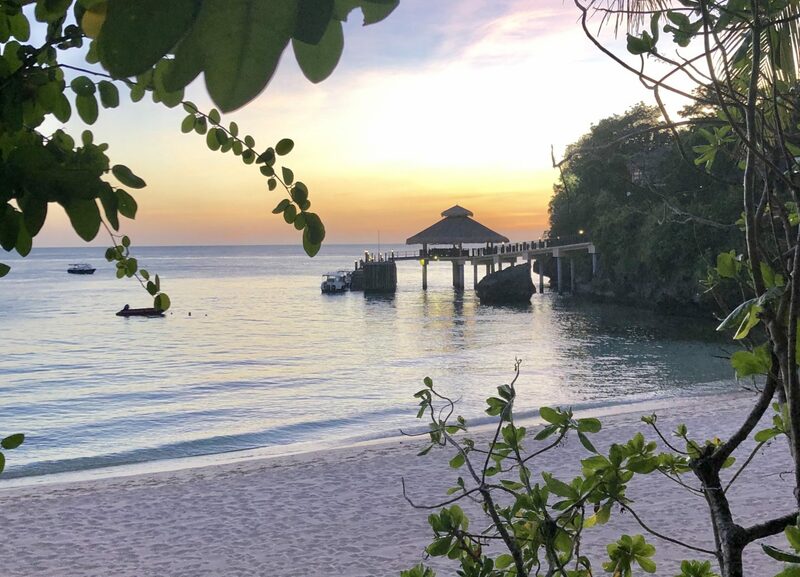 After a visit by the Philippine president, who deemed Boracay a “cesspool” the government decided to temporary close the doors to tourism. In April 2018, Boracay was closed in an effort to clean-up the island due to the affects of over-tourism. 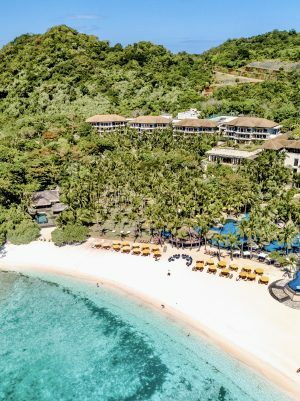 After 6 months of island rehabilitation, Boracay reopened its doors again to tourism late October 2018. The rehabilitation efforts included improvements to their sewage systems, garbage disposal systems and water treatment infrastructure. Along with the rehabilitation came a number of new rules to ensure the efforts would not be forgotten. The popular white beach area is now heavily patrolled to ensure the beautiful beach stays clear from litter and debris. Tourists are no longer allowed to smoke on the beach nor are they allowed to carry any open drinks on the beachfront. In addition to this, the beach is free and clear from any beach chairs or umbrellas. As someone who appreciates sustainability and good environmental practice, the enforcement of these newly applied rules appealed to me. Not only are they simple rules to abide by but it also instilled the importance of these simple changes to some of the less environmentally-minded tourists. A win-win. Needless to say the beaches were impeccably clean. For a beach that sees upward of 2 million people per year, it was impressive to see it so well taken care of. Although I hadn’t seen Boracay prior to the shut-down, what I can say for sure was Paradise was most certainly restored. 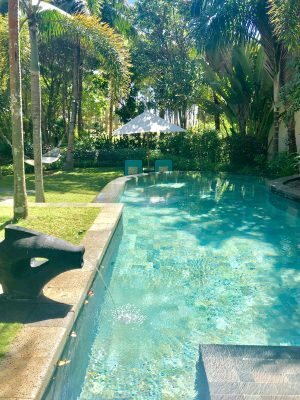 When booking accommodations in Boracay, I was not surprised to find the Shangri-La property to be the most luxurious resort on the island. 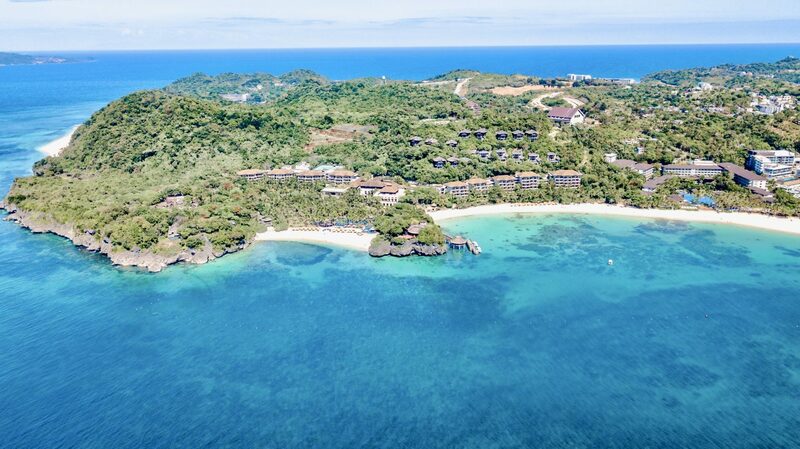 Situated on the most Northwestern tip of the island, the resort is built on one of the most pristine beaches of Boracay. 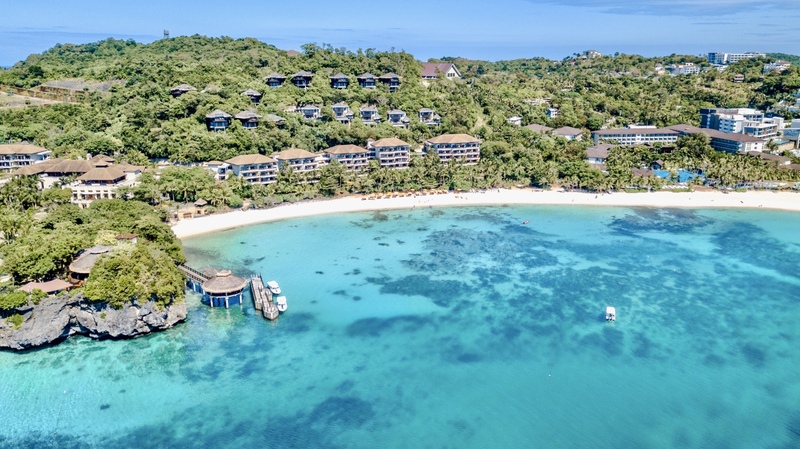 With 219 rooms and villas built into the hillside, the resort sprawls along the sparkling blue coastline. 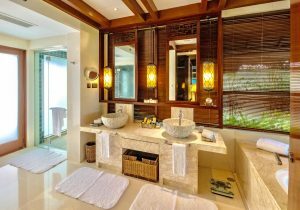 With a balanced mix of rooms and villas, you cannot go wrong with any selection. The rooms are well laid out with private terraces and many boasting views of the incredible coastline. 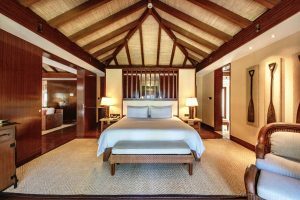 Villas come in one, two or three-bedroom options are abundantly spacious, each with their own private plunge pool. If you are looking for a more private escape, their treehouse villas perched into the hillside are perfect match. They offer the best views of the sea with a split-level indoor/outdoor living space. 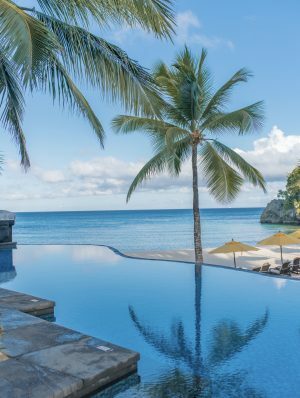 These villas are much more secluded so certainly recommended for guests on a romantic escape or who prefer much more privacy during their stay. With 14 unique room categories to choose from, the Shangri-La will ensure you get the accommodations most suited to your needs. 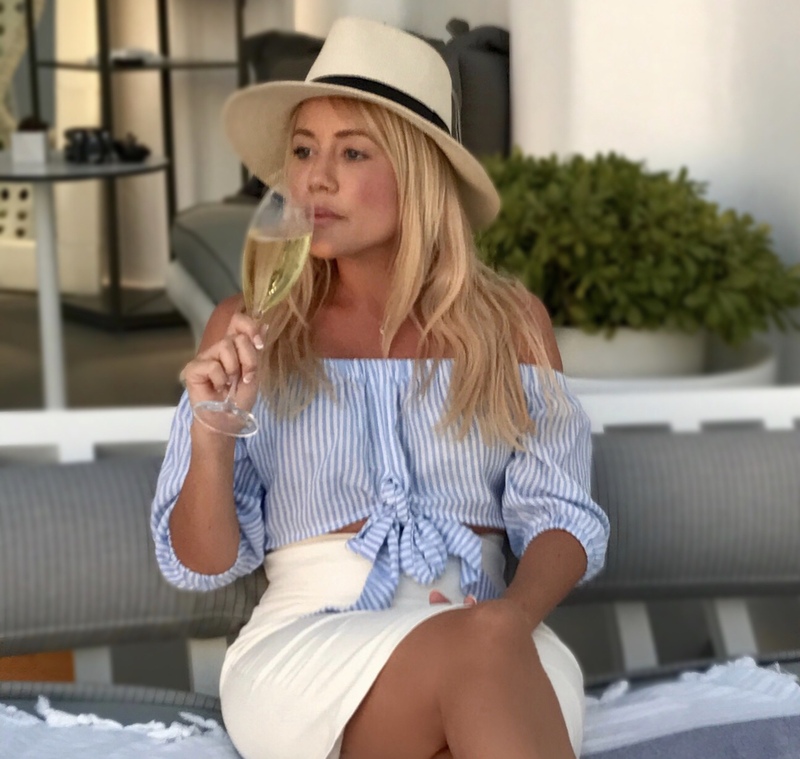 If you are like me and spend more than half of your vacation enjoying the resort, you will be pleased to know there is plenty to do on the resort during your stay. Being a resort in a tropical destination means you have direct access to their two private beaches. The beaches are exceptional with one being in its own calm bay. 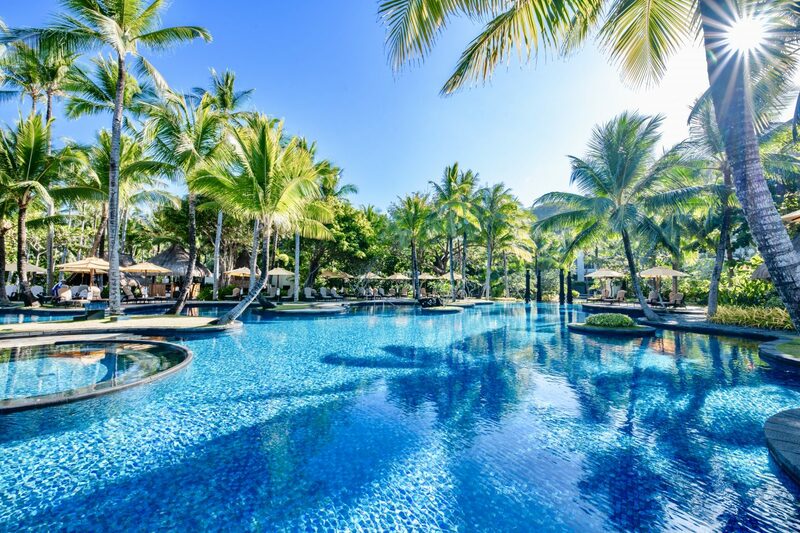 The resort pool sprawls along the bay coastline with infinity views of the sea. In the main building you will find their state-of-the-art gym facility which has a plethora of equipment and open space for an energizing workout. If water sports are you thing, there is plenty to do right off the beach. There is a surrounding reef which is home to a huge variety of marine life. The water is perfectly clear and relatively shallow that the visibility is incredible. For boating and other activities, they have jet skis, kayaks and SUP boards to enjoy the surrounding calm waters. For larger water activities, they offer private Catamaran tours as well as yacht chartering should you wish to explore nearby islands for the day. I was pleased to hear about their marine sanctuary onsite which was built to restore nearby coral reefs as well as provide a home for the sea creatures. There are four fantastic options for dining on the resort. For breakfast, the buffet is by far the best hotel breakfast I have enjoyed to date. They have a vast selection of both Asian cuisines as well as English/American breakfast options. Although I stayed for four nights, it still did not give me the chance to try all of the daily options. 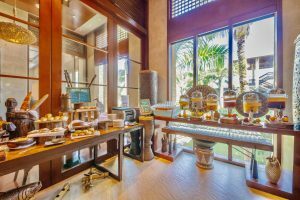 The breakfast spread was delicious and was a highlight of my dining experience at the Shangri-La. 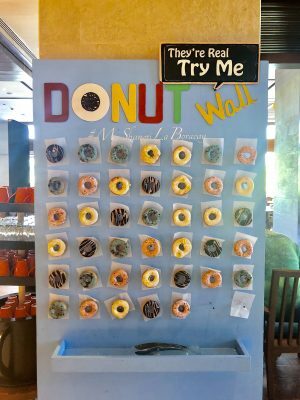 They also had the most adorable “Donuts Wall” that had a daily selection of donuts to enjoy. Although I am not much of a donut eater, I definitely enjoyed them daily. They were scrumptious! For a la carte dining options, there are are several for both lunch and dinner. Cielo, their pool side restaurant, offers lunch options either onsite or at your pool or beach chair. For dinner, you can eat at their international restaurant, Vintana, offering a variety of options, including traditional Filipino cuisine. If you are into seafood, Sirena is perfect for you. Located on the sea next to the jetty port, they offer fresh seafood options with fantastic views of the sea. And for a fine dining experience, Rima offers a 4-course dining experience with a romantic setting. Nestled into the treetops, Rima provides the best view of the resort and surrounding sea. You can also catch the best sunset with their vantage point. 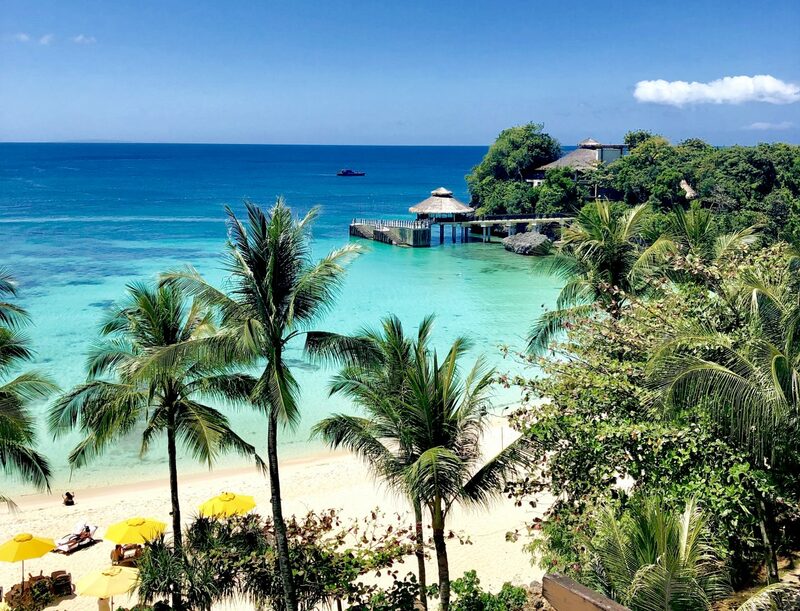 If planning a visit to the Philippines or Boracay in the future, be sure to include the Shangri-La Boracay in your travel plans. 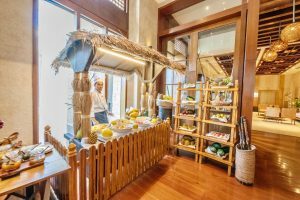 Being the most luxurious resort on the island and among the top in Philippines as a whole, you will be able to enjoy a fine vacation paired with your cultural Filipino experience. I had a wonderful stay and was happy to be able to visit following the reopening of Boracay. My stay with the Shangri-La was certainly among the highlights of my trip to the Philippines and I hope to return again one day!